A grieving mum claims her children face being ‘kicked out’ of their school because she took them out of classes for six weeks after their dad died. 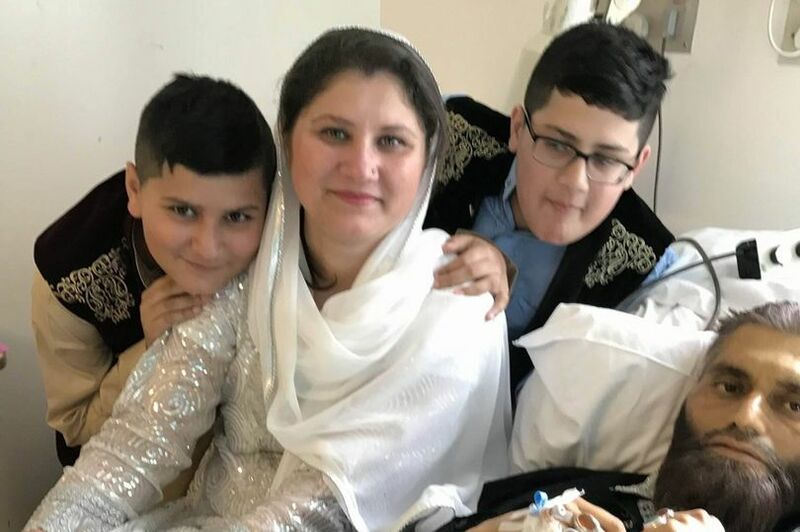 Shamsa Imam took her two 12-year-old boys to Pakistan so they could visit family and attend memorial services for their late father Muhammad Ali Imam, 47, who died of cancer in September. The family went away in January but Mustafa and Hussain have now both been warned they face being taken off the roll at the Dean Trust Ardwick in Manchester. School bosses say they cannot hold places for children who are absent for an ‘inordinate’ amount of time - and described the six weeks the Imam family were away as ‘unusual’. But mum Shamsa says it was essential that the family visited close family following the death of her husband. School authorities told the Manchester Evening News it would be ‘wrong’ to go against the rules on absence and hold places at a time of ‘great demand’. Meanwhile Gorton MP Afzal Khan has written to the school asking that the two boys are not taken off the roll. “We believe that there is a high chance that this will happen,” Shamsa told the M.E.N. The family left for Pakistan on January 30 and are expected to return to Manchester next week. Family friend Angelique Bueler, who is supporting Shamsa following Muhammad’s death, is calling on school bosses to reverse the decision. She said: “The kids only had a few days off when it first happened. Shamsa needed to spend time with her family. Her GP advised her to take a trip to Pakistan to be with family. She didn’t have much option but to take the kids because she’s a single parent now and her health is suffering. Angelique says she has helped her friend draft letters to explain the children’s absence but they believe the schoolboys will lose their places as a result of the trip. She has started an online petition calling for the headteacher at the Dean Trust Ardwick to use her discretion to make sure the children don’t lose their places. But Dean Trust chief executive and academy principal Tarun Kapur said children are expected to be in school unless there are exceptional circumstances. He said the trust consults and takes advice from the local authority if a child is absent from school for a long period. “Because of the great demand for places it’s wrong for us to hold places when there are rules to say if a child is away for ‘x’ number of weeks we should think about taking them off roll,” he said. “In this particular case we have been really empathetic. “We expect children to be in school unless there are exceptional circumstances. If someone is away for an inordinate amount of time we take advice from the local authority. Department for Education guidance states that a pupil can be taken off roll at a school after 20 school days of unauthorised absence and the responsibility for ensuring a child has a school place is the parent’s. If a child has been out of the country and taken off roll for non-attendance, a parent would need to reapply for a school place to their home local authority when they return.